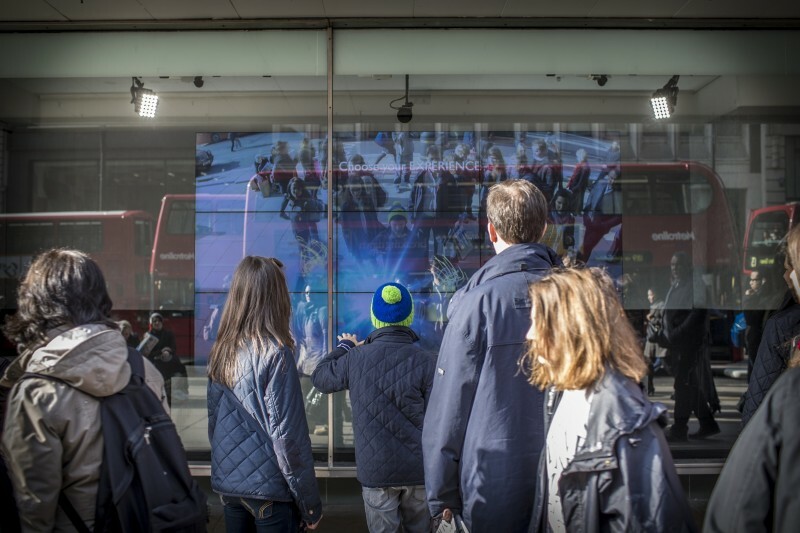 John Lewis launches an impressive interactive window display at its flagship Oxford Street store and its Peter Jones store on Sloane Square London, designed to support a state-of-the-art campaign that promotes the retailer as the place to experience the latest Smart TV technology. The ‘BEAUTIFUL – On or Off’ campaign, by the communications agency adam&eveDDB, will entertain shoppers and commuters with a memorable augmented reality experience. Audio-enabled using Feonic’s Whispering Window invisible speakers. The window displays showcase the innovation of Smart TVs, including the latest voice and gesture control technology. 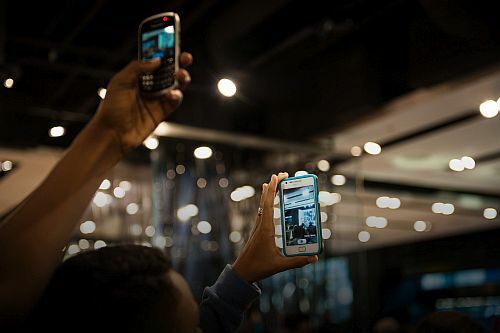 From Friday 12th April until 7th May 2016, people passing the stores will use the technology first-hand. And by integrating the Whispering Window technology, sound will be projected through the windows so everyone can hear what is being played through the Smart TVs. The project is led by TRO Group; specialists in experiential marketing, retail activation and live event services for national and international brands. The Feonic installation is managed by sound and communication specialists Orbital Sound, alongside event production company, EPMD. The augmented reality component is designed by creative technology agency, Inition, with a strong focus on augmented and virtual reality and gestural interaction. …use not only a visually captivating display that really captures the eye of passers-by, but the use of audio would really make heads turn.